When Apple launched iOS 10 one of the biggest features that were introduced was redefined Message App. They introduced iMessage App Store to drawing tools to screen and message effects. With iOS 11, Apple refined the Messages app, adding fewer features and making those that already existed easier to use. 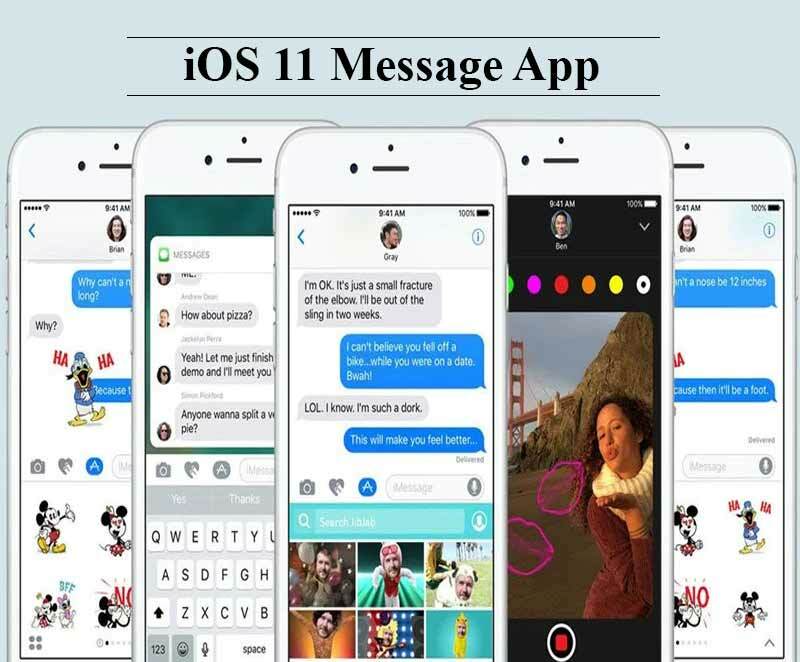 In this article, we are going to talk about 5 new features that have been introduced in Message app with iOS 11. This is one of those features where "Finally!" is warranted. Finally, Apple allows you to sync all Messages across all of your Apple devices. Find the setting turn Messages Sync on or off in Settings > Messages > Messages on iCloud. Move aside, Square Cash. Apple is making it far too easy for iMessage users to send or request money from one another. The new iMessage App is tied to Apple Pay and appears to be as simple as sending a sticker in an iMessage conversation. As with Messages sync, Apple Pay in Messages isn't quite ready yet. We will cover it in more detail once we can use it. Scroll to the left to view more apps, or long-press on the row of icons to enlarge the dock. Tap an app's icon to open it, or tap the "..." icon to view a list of installed apps. This picker is super quick and easy to use. Good job, Apple. Echo and Spotlight are new in iOS 11. Echo is the perfect way to annoy a friend, while Spotlight is sure to draw attention to a message or photo. Part of a group chat that just won't shut up? Or have a friend who sends you countless memes and gifs while you are at work? You can now easily mute a conversation, or as iOS 11 calls it, hide alerts.